If you are interested at all in the N Ireland troubles then this is the book for you. 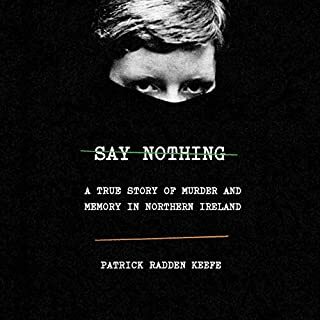 Using some specific cases and IRA protagonists it travels much of the history of the North since the late 60s in a gritty non sparing way. The reading is excellent, and in the real deal NI vernacular. Simply brilliant read / listen. 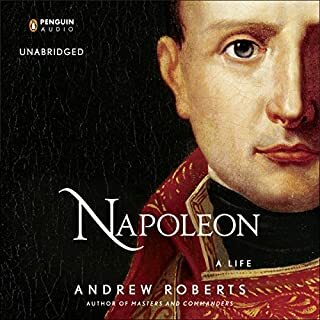 This is a great counter balance to the biography of Napoleon. In that book he’s treated fairly sympathetically. 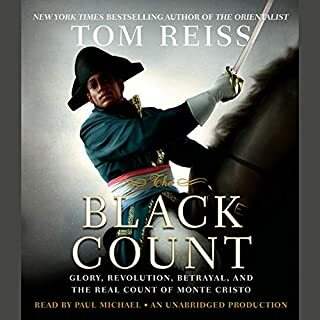 In this book the story of the Black Count occurs on the backdrop of French colonialism in the Caribbean and elsewhere as well as the French Revolution and the rise of Napoleon. It’s a ripping yarn as good as any fictional adventure. Napoleon does not come out as well. But Count Dumas is portrayed as a hero who unfortunately suffers a heroic / tragic life because of the time that was in it. Strongly recommended. Simply brilliant biography of a man that dominated European history and events for decades and left a legacy to this day. Well written and narrated. Highly detailed and apparently meticulously researched based on the voluminous communications by the man and his many lovers wives and contemporaries. Highly recommended for anyone interested in history. 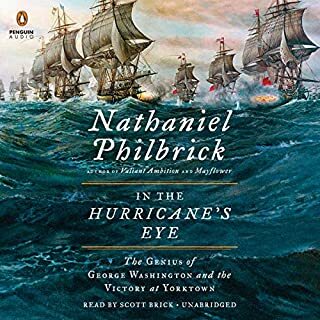 Riveting account of the final phase of the American revolution with a focus on Washington. Brilliant. Well narrated. Gripping. In October 1886, Edgar Drake receives a strange request from the British War office: he must leave his wife and his quiet life in London to travel to the jungles of Burma, where a rare Erard grand piano is in need of repair. 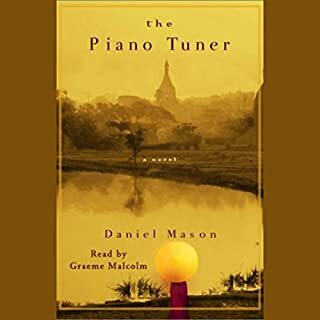 On his journey to Burma, Edgar encounters prophets and thieves, soldiers and tale-spinners, and an enchanting woman as elusive as the surgeon-major who owns the piano will turn out to be. Edgar encounters a place more mysterious and dangerous than he could ever have imagined. The absolute best in reading, a true classic! Really interesting read. If you like historical fiction of any sort especially Victorian / Colonial England you will like this. A slow but very satisfying burn. but it’s a good one, and ties up nicely at the end. The series gets steadily better. The Pale Criminal brings back Bernie Gunther, an ex-policeman who thought he'd seen everything on the streets of 1930s Berlin - until he turned freelance, and each case he tackled sucked him further into the grisly excesses of Nazi subculture. 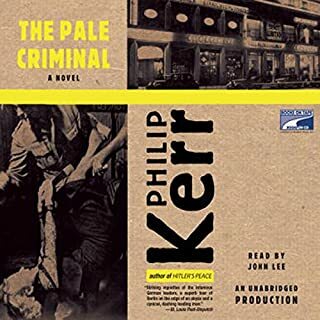 Hard-hitting, fast-paced, and richly detailed, The Pale Criminal is noir writing at its blackest and best. Better written than the first effort. Less obvious “hard boiled” wise cracking and more of a detective story. Nice blend of fact and fiction as Germany tumbled towards the holocaust and war. 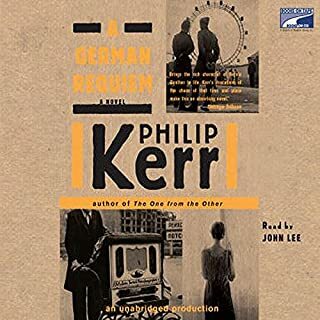 Hailed by Salman Rushdie as a "brilliantly innovative thriller-writer", Philip Kerr is the creator of taut, gripping, noir-tinged mysteries set in Nazi-era Berlin that are nothing short of spellbinding. 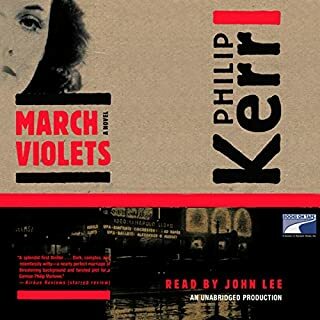 The first book of the Berlin Noir trilogy, March Violets introduces listeners to Bernie Gunther, an ex-policeman who thought he'd seen everything on the streets of 1930s Berlin - until he turned freelance and each case he tackled sucked him further into the grisly excesses of Nazi subculture. You can tell it’s the first book in the series - could have done with a good editor. The hard boiled thing is a bit over done at times too. But I’ll try the next one in the series to see. 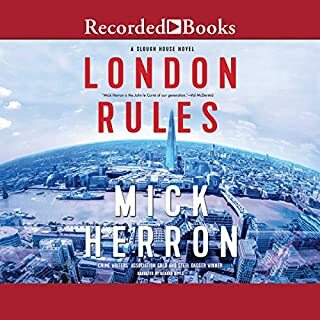 Still really good but I really wish she’d sort out Robins personal life and Cormorants leg before her next book. They are beginning to grate on the nerves. She sure has it in for the English upper classes in this one! The plot is very tangled but gets sorted nicely at the end. Still highly recommended. Reader is fabulous. Accents are brilliant. At MI5 headquarters Regent's Park, First Desk Claude Whelan is learning the rule (cover your arse) the hard way. Tasked with protecting a beleaguered prime minister, he's facing attack from all directions himself. 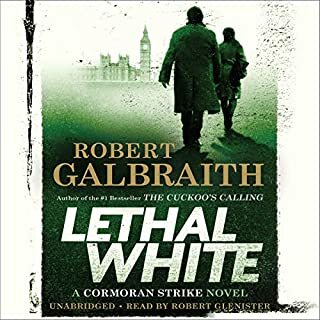 Over at Slough House, the MI5 satellite office for outcast and demoted spies, the agents are struggling with personal problems: repressed grief, various addictions, retail paralysis, and the nagging suspicion that their newest colleague is a psychopath. Plus someone is trying to kill Roddy Ho. The slough house concept was brilliant in the beginning but it’s getting a tad old. The plot wavered quite a bit and some segments were just too long. Needed a good editing.